I was surprised and happy to find out yesterday that one of my short prose pieces, “Curriculum,” landed in a Huffington Post article this month. It’s a good article for the “attentionally-challenged,” which is most of us. Thank you to the editors at Conjunctions, which originally published “Curriculum” in 2013. I loved offering a creative writing reading and workshop this week at School of the Arts with my old friend (and beloved SOTA alum), poet Willa Carroll. School of the Arts (or SOTA) is a fantastic magnet school in the city of Rochester. Although I first encountered Willa through her poetry when we were both ourselves high school students a million years ago (at neighboring schools) and we later lived in NYC (where Willa still lives), this was, unbelievably, our first time hearing each other read. She is a fierce and funny poet, with a command of language and sensitivity to the possibilities in words that I very much admire. Thank you to Friends of School of the Arts for supporting our visit and to Eileen Scardino and Marcy Gamzon for making it happen and hosting our visit. NYC-based poet and performer Willa Carroll, leading a writing exercise after our reading on June 12, 2014. This week was also the last day of school at the independent school where I teach; I think I am going to need to sleep for a week, as the kids say. I attended my first Harley graduation yesterday, just hours after our master class. 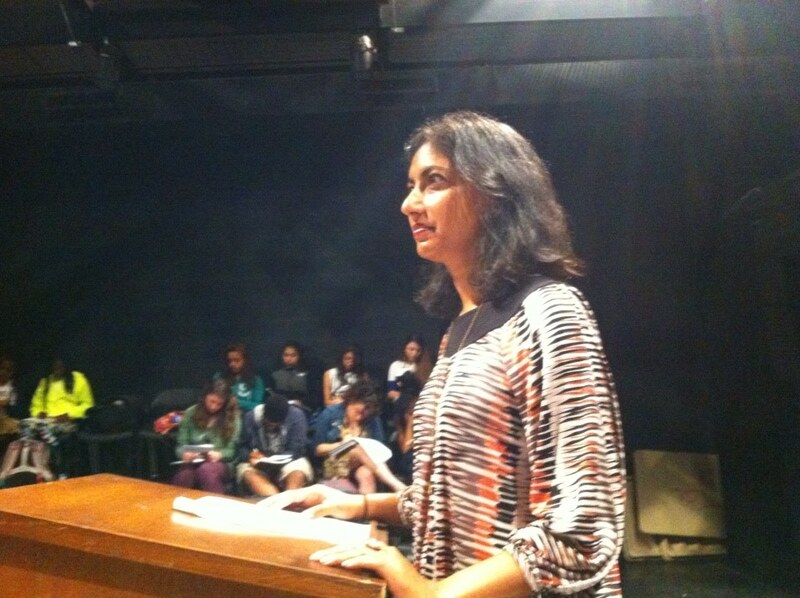 What a hectic year it’s been and how grateful I am to have had opportunities to read and or write creatively with students at the University of Rochester, the College of Staten Island, the University of Massachusetts-Amherst, the Harley School, Writers & Books, School of the Arts, and Pittsford Sutherland High School. Rochester rises to the top of the pile of places to live as a writer and serious reader. 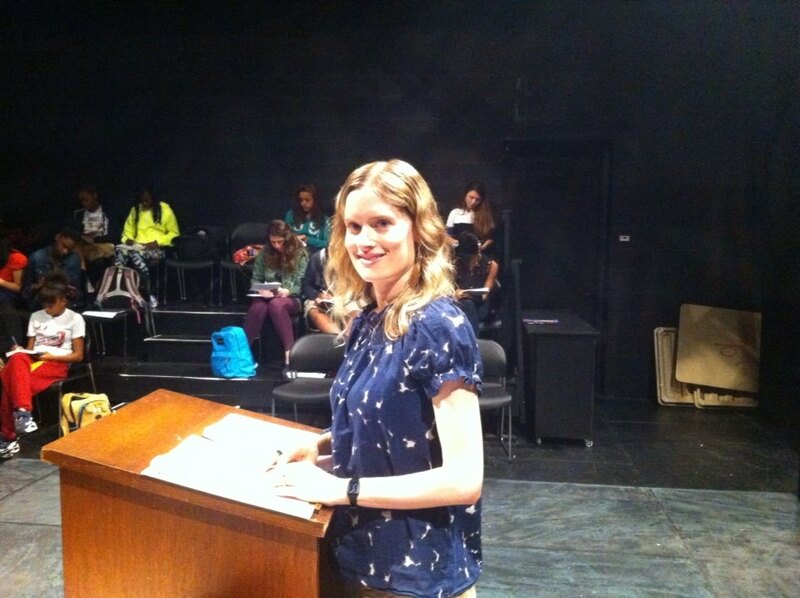 Willa took this picture of me at the podium during our Master Class at SOTA on June 12, 2014.